Behind reinforced doors on Pod Karlovem street, you’ll find an extensive maze of corridors and rooms. This bunker was built during the Cold War as a refuge for civilians in case of threat. In addition to tours of the bunker itself, there’s an exhibition featuring photos of other civilian bunkers located throughout Prague. 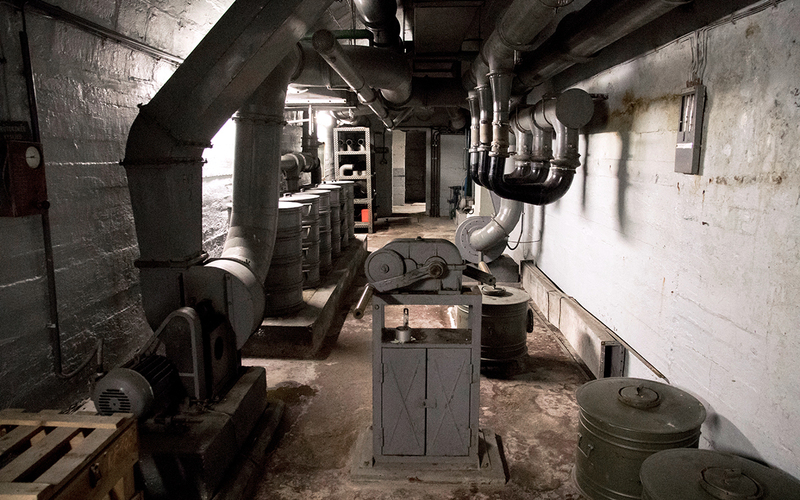 The bunker, built in the late 1950s and early 1960s, has its own well, toilets, and infirmary, an independent power generator provides light and heat, and it was ventilated using air pressure. 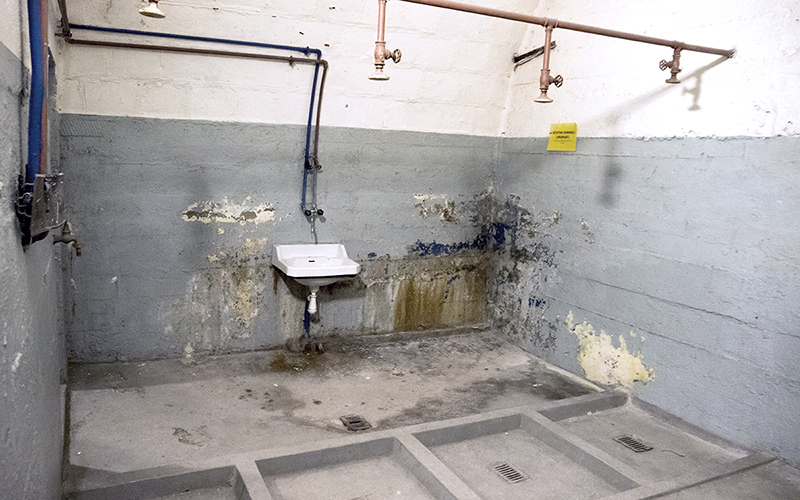 There is a total of 125 m of corridors, and with an area of 1,332 m2, it’s the largest bunker in Prague 2. The bunker could hold 1,300 people, and its stocks could allow people to survive for up to 72 hours. The bunker is in excellent technical condition and could serve its original purpose immediately in case of emergency. The exhibition is periodically updated in coordination with the Prague Speleological Club and the Prague Services Administration, which maintains the facility for the Prague 2 district. The bunker was made accessible to the public in September 2014.